Located in the Midwest region, Michigan is one of the largest and most populous of the United States of America and is mostly in the Eastern Time Zone. However, some Michigan counties are also located in the Central Time Zone, making Michigan one of several American states to cross multiple time zones. The capital city of Michigan is Lansing, while the state's biggest and most well-known city is Detroit. Both of these cities are located in the Eastern Time Zone. Michigan has the unique distinction of being the only US state to be made up of a pair of peninsulas. The Lower Peninsula is entirely in the Eastern Time Zone and is almost entirely surrounded by water. It is in the Lower Peninsula that we find most of Michigan's biggest cities and conurbations like Detroit, Lansing, and Grand Rapids. Michigan's Upper Peninsula, like the Lower Peninsula, is surrounded by water on nearly all sides. The Upper Peninsula has a much lower population than the Lower Peninsula, despite making up almost a third of the state's landmass. This area is well known for its forest and wildlife, with the biggest city, Marquette, having a population of around 20,000. Most of the Upper Peninsula of Michigan is in the Eastern Time Zone, but the four counties along the Southern border with Wisconsin observe Central Time instead. Well-known for its proximity to the famous Great Lakes of North America, Michigan borders four of the five lakes and is riddled with waterways, lakes, ponds, and other natural water sources. Geographically speaking, every person in Michigan is always within less than 7 miles of some kind of water source, and the state is widely-considered one of the best places in the entire US for water activities like boating, fishing, kayaking, and more. A key player in the US economy, the state of Michigan is also widely-known as the home of three of the world's biggest car companies: Ford, General Motors, and Fiat Chrysler. Tourism is also a big factor in the economy of Michigan, with many visitors flocking from around the world to see the Great Lakes and beautiful natural areas of the Upper Peninsula. Before the development and introduction of time zones in the US, people had to read the position of the sun to determine the time in their local area, meaning that the time would always be different from one town to the next and could vary enormously around each state. In 1883, time zones arrived in the US, with much of Michigan initially following Central Time. It wasn't until 1942 that most of the state switched over to Eastern Time, but most of the Upper Peninsula remained in Central Time. Decades later, in 1973 to be precise, most of the Upper Peninsula of Michigan then switched to Eastern Time. The Eastern Time Zone covers most of Michigan. It also covers the entirety of seventeen other states and parts of four more states, as well as applying in parts of several Canadian provinces, the Quintano Roo state of Mexico, several Caribbean Islands, and parts of Central and South America included the entirety of the country of Panama. This time zone is often abbreviated to ET, EST, or EDT. ET stands for Eastern Time. EST stands for Eastern Standard Time and is used in autumn and winter months. EDT stands for Eastern Daylight Time and is used during periods of daylight savings in spring and summer. EST is five hours behind Coordinated Universal Time (UTC -05:00), while EDT is four hours behind. Iron, Gogebic, Dickinson, and Menominee Counties of Michigan are all located in the Central Time Zone. All of these Michigan counties can be found on the border with Wisconsin, on Michigan’s Upper Peninsula. Often abbreviated to CT, this time zone covers large parts of the US and Canada, as well as the majority of Mexico and many Central American countries including Costa Rica and Honduras. Central Standard Time (CST) is six hours behind UTC, while Central Daylight Time (CDT) is five hours behind. The state of Michigan does use daylight savings time, meaning that most of the state is under EDT during the summer, which is four hours behind UTC. 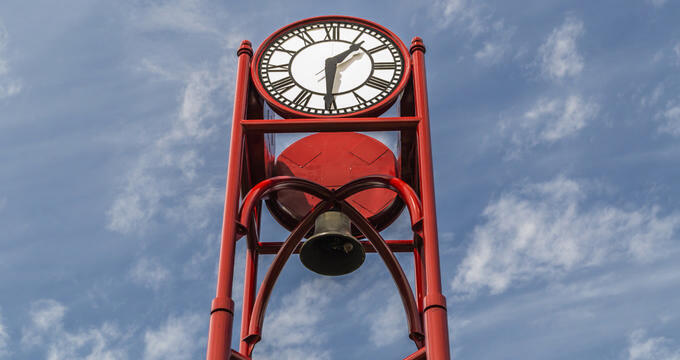 Daylight savings time in Michigan in 2018 began on March 11 and is set to end on November 4. The entire state utilizes daylight savings, including the section that observes Central Time.